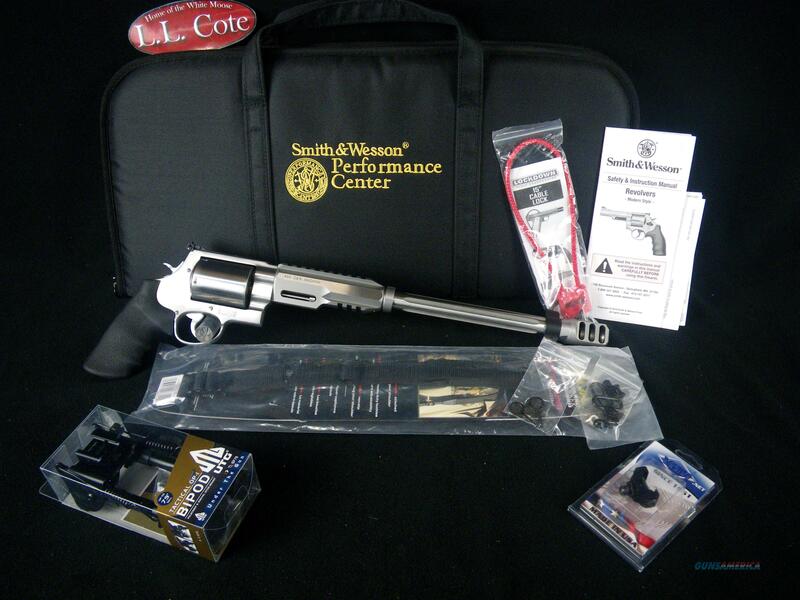 Description: You are bidding on a Smith & Wesson Performance Center Model 460XVR in 460mag with a 14" barrel. Smith & Wesson's Model 460XVR™ has the highest muzzle velocity of any production revolver on earth. The Model 460XVR™ is so revolutionary that it required an entirely new designation...XVR, X-treme Velocity Revolver. Performance Center guns originate from standard designs or are created from the ground up. From hand-cutting and fitting to fine tuning for precision, these firearms are top performers. Products from the Performance Center are the ultimate expression of old-world craftsmanship blended with modern technology. Displayed images are stock photos. Any questions please feel free to ask (our phone number is in the additional information tab above).